Welcome to our 5 year olds Mason Campbell and Jessica Jordan, who have joined the junior room. From the junior room - If you have any cardboard tubes from gladwrap & tinfoil, the junior room would appreciate it if you could send these along for a project they are working on. 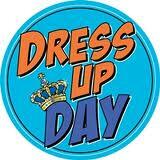 Dress up day – Just a small reminder next Monday 20th May is dress up day to celebrate our 117th birthday. This is also photo day, so please keep this in mind when dressing up. PhotoLife – Please find attached the prepaid class and portrait envelopes for your child/ren. Photo day is on Monday 20th May from 9am to roughly 11am. These must be completed and returned to school before photo day. Keeping Ourselves Safe –We have been learning about Keeping Ourselves Safe. We talked about touches we like, don't like and can be confusing. We all liked having a back rub with Constable Maryanne. BOT School Elections – Nominations close Thursday 16th May at 12 noon. 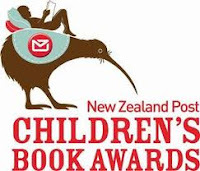 NZ Post Children’s Book Awards – School aged children and young adults are invited to have their say by voting for their favourite book amongst the finalists. All valid votes received online and by voting card put both the child and their nominated school into the prize draw to win ($500 booksellers tokens for the student, $500 booksellers tokens for the school). A copy of all the Book Awards Finalists books are available at the school library. Whitianga Community Services Trust – Don’t forget about our resource centre in Whitianga. They offer a range of services including book exchange, budgeting NZFFBS, education and training/workshops, family well-being support, food bank, individual and family counseling, supervised contact provider, volunteer centre and youth in development to name a few. They are situated at 2 Cook Drive in Whitianga. Stationery Accounts – please find attached your child/rens’ stationery accounts for payment. A BIG thank you to Sam Torowai , who noticed some mold growing around the childrens’ drinking fountain and brought her water blaster in yesterday to clean this off. 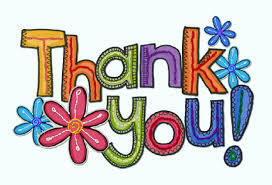 Thanks Sam, its parents like you who make a difference in our small school!